With 14 Democrats (currently) running for president, candidates are scrambling to hire staff, scale their operations, and carve out a path to the nomination. Integral to all of this is fundraising – without financial resources, candidates will find it challenging to get their message out. As more and more Democrats are taking pledges to reject corporate PAC money, the focus is turning to small-dollar fundraising as a way to raise cash. Creating a network of grassroots support has several strategic purposes. 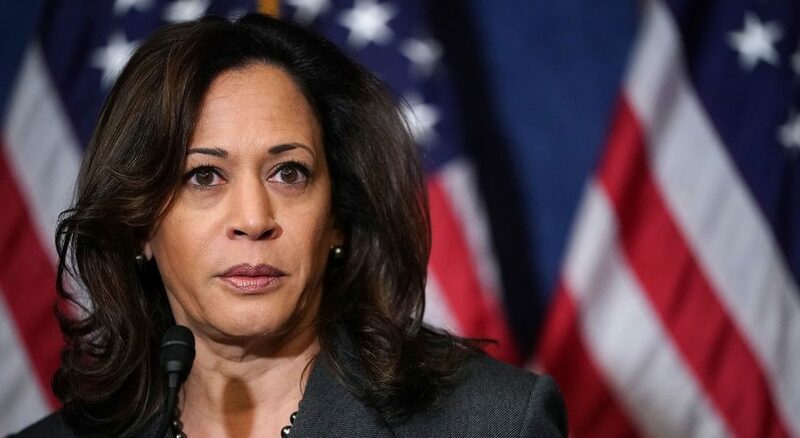 First, in order for a Democrat to qualify for the primary debates, he or she must either earn at least 1 percent support in a series of public polls of Democratic voters or attract 65,000 individual donors from 20 different states. More importantly, however, the volume of small donations is often a measure of enthusiasm about a particular candidate. This week, The Political Edge takes a look at how small-dollar fundraising has become an integral part of political campaigns and dives into some recent fundraising developments in the presidential race. 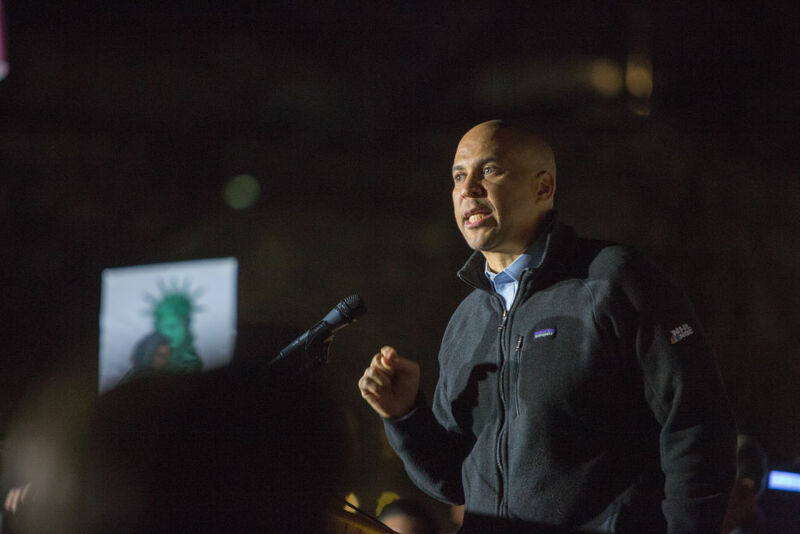 A recent article from Roll Call’s Kate Ackley argued that small-dollar donors could hold the balance in the 2020 election. Research shows that small contributions surged in the 2018 elections for competitive House and Senate races, with more than $200 million going to those races in small increments. 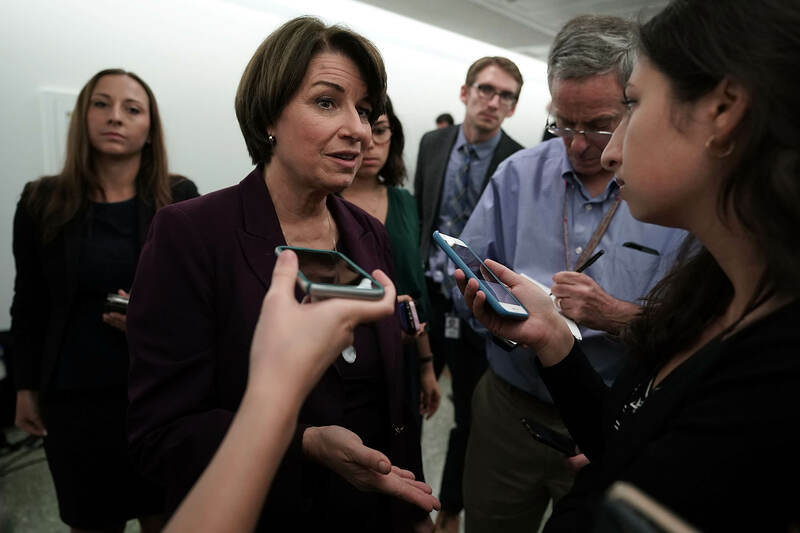 Looking at data from the Center for Responsive Politics, Ackley found several pieces of information about how campaigns are adapting to the small-dollar trend. In 2016, about 25% of President Donald Trump’s political money came from donors giving less than $200. His reelection campaign, however, has raised far more from small dollar donors. According to FEC reports, he has raised $18.7 million (67.5%) from small contributors compared to about $9 million raised from individual donations of $200 or more. For comparison, New York Rep. Alexandria Ocasio-Cortez brought in about 60 percent of her 2018 campaign’s $2.1 million in little installments. 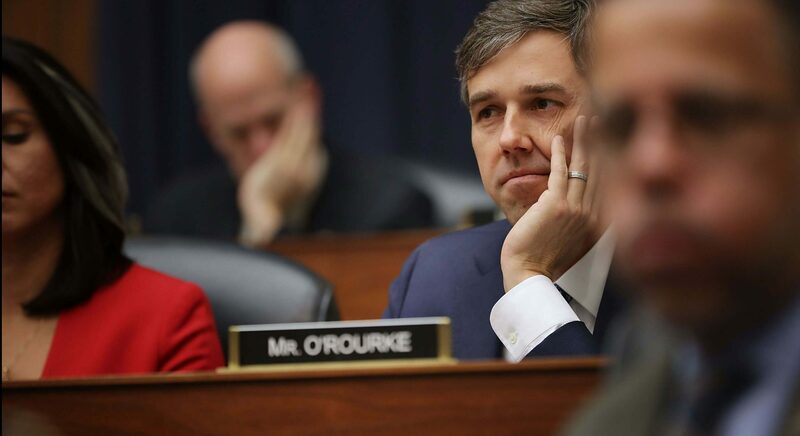 Former Rep. Beto O’Rourke (D-TX) collected almost half of his $79 million Senate haul in 2018 from small donations. Last cycle, Sen. Bernie Sanders (I-VT) and Sen. Elizabeth Warren (D-MA) were the top two Senate recipients of small-dollar donations as a percentage of their overall donations. Sanders raised 75% in small contributions, while Warren brought in more than 55% from small donations. On Monday, Beto O’Rourke announced that he had raised a whopping $6.1 million in the first 24 hours of his campaign. AR Intel broke down how O’Rourke’s numbers stacked up against the rest of the Democratic field. Beto O’Rourke (D-TX) raised $6.1M in online donations during his campaign’s first 24 hours. According to the candidate, he had “more than 128,000 unique contributions” and an average donation size of $47. Bernie Sanders (I-VT) raised $5.9 million in the first 24 hours after his presidential announcement with an average donation of less than $27. To put O’Rourke’s $6.1M 24-hour haul into perspective, Roll Call’s Nathan Gonzalez looked back at some competitive races from the last 20 years to see how they stack up. The House and Senate are in recess this week. President Trump will welcome the Brazilian president to the White House later in the week. And 2020 Democrats are barnstorming the early voting states. Kirsten Gillibrand’s (D-NY) financial transaction tax is estimated to raise $777 billion over ten years, according to the Joint Committee on Taxation. Elizabeth Warren’s (D-MA) proposed wealth tax could raise $2.75 trillion over ten years, according to her campaign. 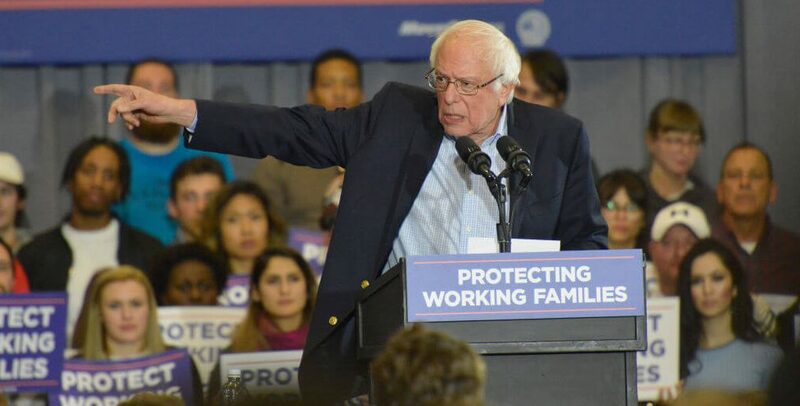 Bernie Sanders’ (I-VT) federal estate tax would raise $315 billion over ten years, according to his campaign. Alexandria Ocasio-Cortez’s (D-NY) proposed 70-percent marginal tax rate on income above $10 million could generate $700 billion over 10 years, a Politico analysis shows. Ignoring the economic repercussions that would surely follow, even if every one of these tax plans were enacted, it would only raise $4.54 trillion over ten years – not even 15% of the total cost to implement Medicare for All. 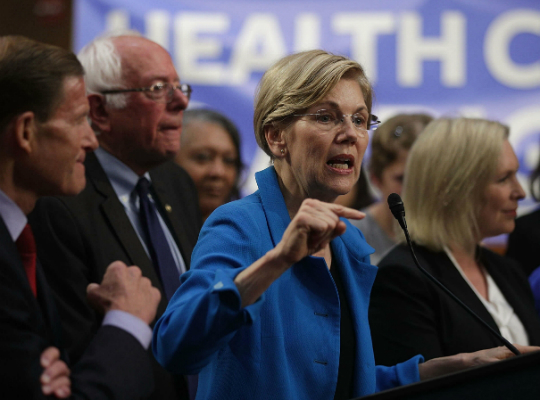 Democrats argue that implementing a single-payer health care system will cut down on overall costs to the tune of $2 trillion over ten years. Even so, that still leaves taxpayers on the hook for over $25 trillion. Democrats like to talk about raising taxes on the rich because it polls well. Medicare for All has also gained in popularity – that is until people are told it would raise their taxes. To make up for the $25 trillion revenue deficit, Democrats advocating for Medicare for All have a choice: they can either drastically cut federal spending, or they will need to raise taxes for all Americans. Either way, they should consider ending the farce that somehow taxing the wealthy will pay for their pipedream policies. Politico: Is This The Next Alexandria Ocasio-Cortez? To read more, become an AR Intel Insider today! The results of Tuesday’s special and primary elections produced interesting results for commentators to break down. Democrats failed in a bid to take a heavily-Republican district in Ohio, when Republican candidate Troy Balderson defeated Democrat Danny O’Connor in the OH-12 special election. For more on these races, sign up for a 7-day free trial of AR Intel today! Socialist candidate for Congress, Alexandria Ocasio-Cortez, is traveling the country and spreading her message to audiences in Kansas, Delaware, Florida, and Michigan. In some cases, Ocasio-Cortez is doing interviews on behalf of candidates, but in others, she’s actually showing up. The one thing that ties all of her endorsements together is she’s backing the most out-of-touch liberal candidate in every race. Many times that means backing a candidate who is challenging an incumbent Democrat. And that’s not sitting well with many Democrats. At an event in Grand Rapids, Michigan, Ocasio-Cortez ripped into a nameless, faceless Democratic establishment right from the start of her prepared remarks. 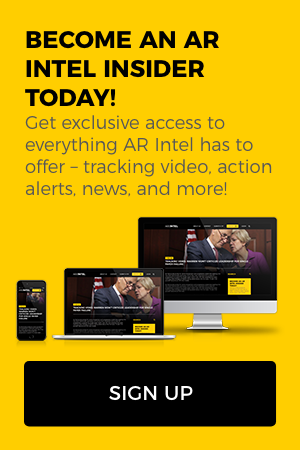 To watch video of her speech, become an AR Intel Insider today and sign up for a 7-day free trial!